Finger print technology which allows drivers to not only unlock doors but also start the vehicle will be available in Hyundai’s Santa Fe SUV early next year. To unlock the vehicle, the driver places a finger on the sensor located on the door handle. The vehicle can also be started by touching the ignition which is also equipped with a fingerprint scanning sensor. The technology also provides a customized driving environment as driver preferences can be matched with fingerprint data. The vehicle will then automatically adjust seating positions, connected car features, and side-view mirror angles according to the driver. 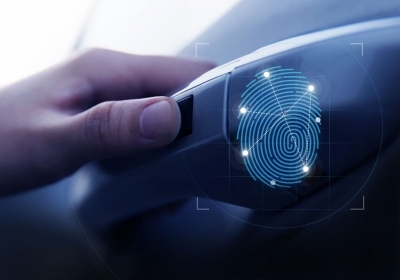 Hyundai also addressed the security issues on the smart fingerprint technology. With capacitance recognition, which detects differentials in the electricity level in various parts of the fingertip, the fingerprint technology efficiently prevents forgeries and faked fingerprints. The technology’s chance of misrecognizing another person’s finger print is only 1 in 50,000 making it five times more effective than conventional vehicle keys, including smart keys.